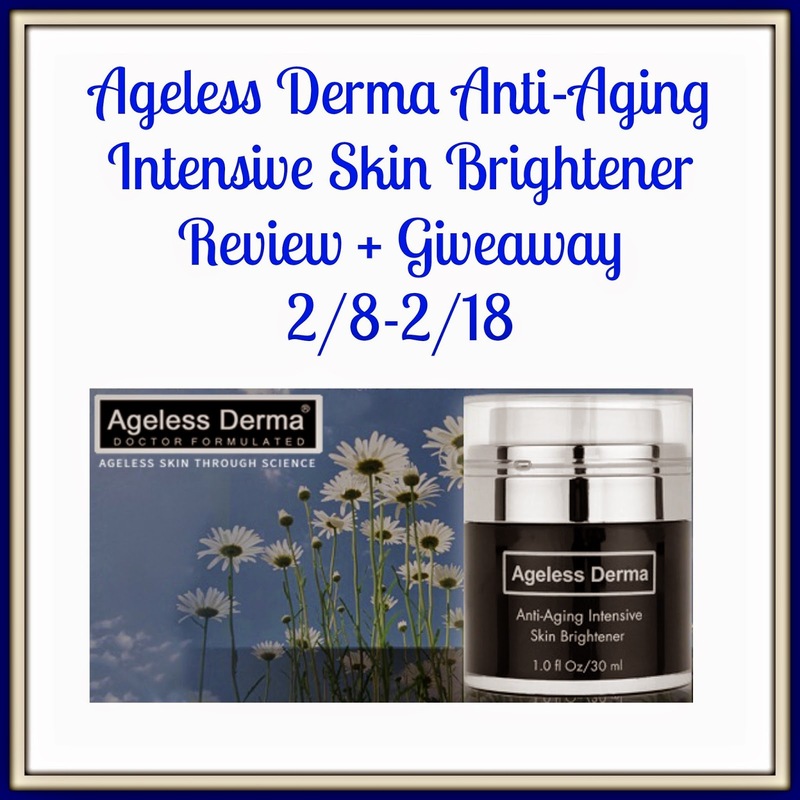 I was given the opportunity to review Ageless Derma Anti-Aging Intensive Skin Brightener. I couldn’t wait to try it. I have been lucky enough to try quite a few products by Ageless Derma. I have loved all that I have tried so far. I had very high hopes for Ageless Derma Anti-Aging Intensive Skin Brightener. Ageless Derma Anti-Aging Intensive Skin Brightener is for those who have freckles, age spots, brown spots, liver spots, or changes in your skin pigment. Ageless Derma Anti-Aging Intensive Skin Brightener uses 7 ingredients that aren’t parabens or harsh chemicals to lighten your skin effectively. I personally have had freckles my whole life. I have always hated them. They may have faded some over the years but I can still see them. I couldn’t wait to see what Ageless Derma Anti-Aging Intensive Skin Brightener could do for me. I also have very sensitive skin that turns red very easily. I didn’t have any sensitivity issues with Ageless Derma Anti-Aging Intensive Skin Brightener at all. I have to say that I did notice a difference in my freckles. I can’t tell you how excited I was because like I said before I have never liked them. It seems the longer I use Ageless Derma Anti-Aging Intensive Skin Brightener the less I’m noticing my freckles. I would highly recommend Ageless Derma Anti-Aging Intensive Skin Brightener. You can check it out yourself by clicking here. One lucky reader will win their own Ageless Derma Anti-Aging Intensive Skin Brightener. This giveaway is US only, 18 or older. Only one entrant per household. Giveaway ends on February 18 at 12:00 AM EST . Winner will be notified by email and has 24 hours to respond. If there is no response during that time a new winner will be chosen. Good Luck Everyone!! Here We Go Again…Ready? received this product to review. Alll opinions are 100% my own. I am not responsible for the distribution of this prize. This giveaway is not associated with Facebook, Twitter, or any other social media. Previous post: Tips for Great Dental Check UPs for Kids! Next post: Need a Doctor? Hate the Doctors Office? I would try this on my face, especially on the cheeks, where I have very dry skin & patchy red spots.